Micro-credit programs, village savings and loans associations, and self-help groups supported by CFTC’s generous donors and our partners in Uganda, Ethiopia and Ghana offer credit that saves lives – and lift countless families from poverty to prosperity. Each year, these groups help thousands of women to save and borrow – a cycle that leads directly out of poverty and towards a prosperous future for thousands of families. Prosperity, which to so many in Africa and around the world is the hope of achieving a basic level of economic independence, is a dream that many pursue in vain … until the concept of micro-credit, village savings and loans associations, and self-help groups took root in some of the poorest communities throughout Africa. 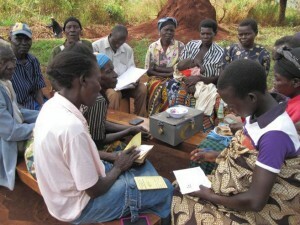 They teach essential small business start-up and financial management skills, plus provide a structure for saving and borrowing – most frequently to women, for whom these kinds of opportunities are often out of reach – and have grown to become one of the very best ways to support community-led economic development in impoverished communities in Africa and elsewhere in the developing world. Canadian Feed The Children has seen first-hand some extraordinary success stories fostered by these programs through the support of our generous donors. Women who had been living hand-to-mouth for many years have been able to establish a good livelihood and put nutritious food on the table for all their children every day – not just some of them some days, which is too often the case. 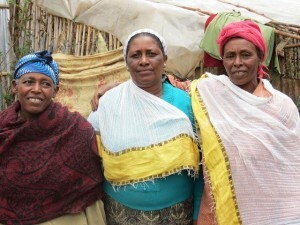 The transformative change in these women’s – and their family’s – lives is astounding. 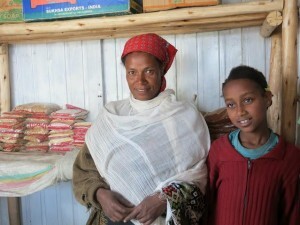 Saving is a new concept to the women in these groups, who have spent most of their lives living in extreme poverty. Yet, within the first month of receiving a small loan to start a new trade in goods or agriculture, they begin to earn – and to save. 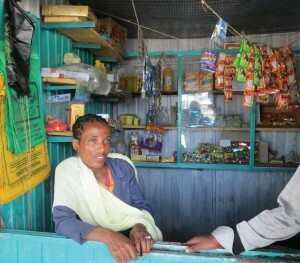 In Ethiopia, for example, many women begin by earning about 15 to 20 birr a day (about $1) – yet they will still find a way to contribute two birr a week. One mother started a home-based coffee and tea business and is now able to buy new clothes for her children. One grandmother began to grow vegetables and then diversified into chickens and goats. She is now able to pay the costs for all of her children to go to school and to put a new fence around her yard in the home she rents. A mother with three children lost her husband years ago when her children were small, but with the help of CFTC and our generous supporters she was able to set up a market stall, and then to diversify the goods she was selling. Just recently she was able to buy and build a new house for her family. Not only are women saving and earning income, but they are growing their businesses which benefits not only their own families, but their entire communities. And, even more importantly, they are achieving exceptional levels of personal and social empowerment which makes such a big difference in their own and their children’s overall welfare.